A new version of the Ticam GTX®, the Ticam II is now even lighter and better fitting, with a cuff that conforms more closely to the ankle. The same great design concept blends reduced weight, easy ankle flex and lacing, and the stability underfoot that’s necessary when slogging big loads. This is the perfect boot for those who enjoy challenging and rugged tramps or hikes but still want that quality comfort that LOWA provides. 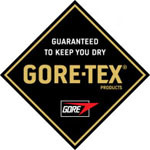 The GORE-TEX lining delivers complete waterproofing and breathability to the boot and the light weight of only 1640 grams makes this boot one of the lightest shoes on the market. The Ticam II is a must buy for all those wanting a great combination of comfort and durability within one shoe.